Home on furlough from WWII, our dad had his favorite pineapple cake every day. Even though little, my brother and I gave him lots of help when it came to eating. Mom too, she hoarded ration stamps to have enough sugar and pineapple for this grand visit. 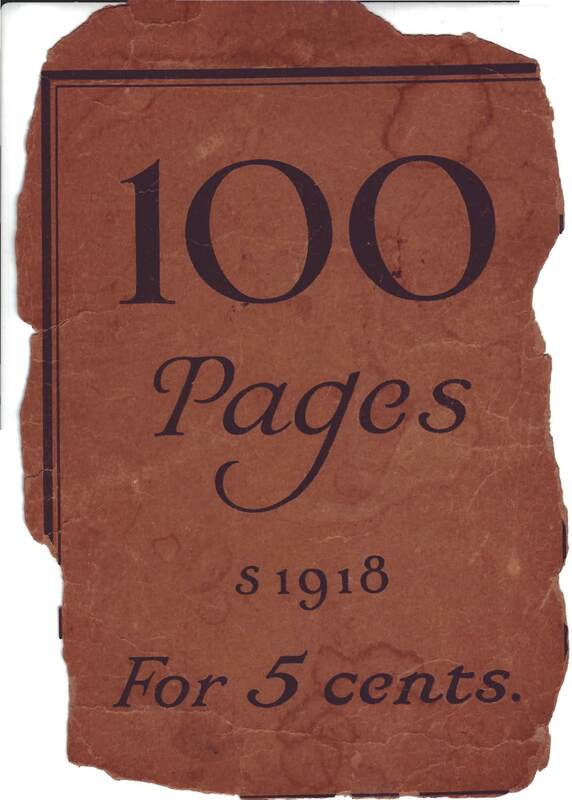 Upon finding Mimi’s 1918 handwritten recipe book, I learned the recipe was hers. Here it is for all to enjoy. 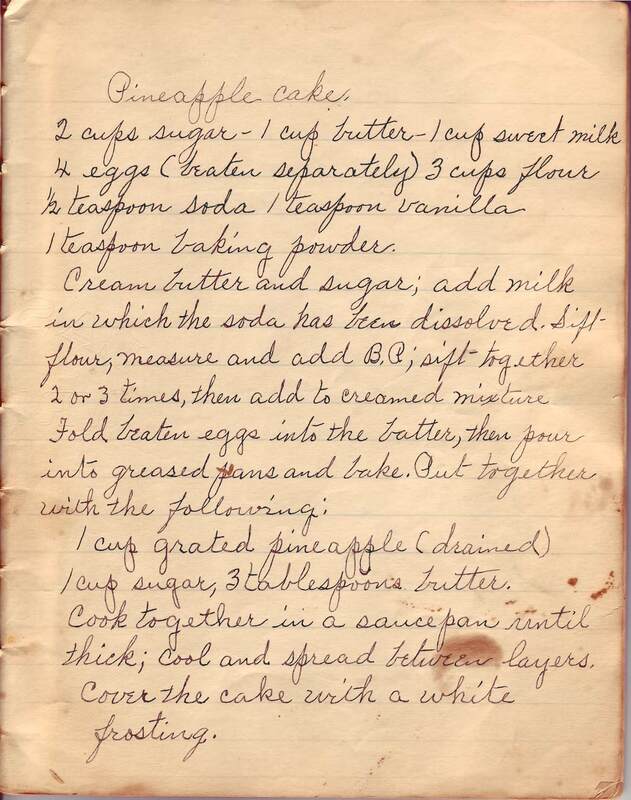 Daddy wrote home about the pineapple cake often while he was serving in the Pacific during World War II. Mother saved her ration stamps for months. When it was almost time for Daddy’s furlough, Mother put my little brother in our red wagon. While she pulled, I traipsed as fast as my short legs could go all the way to the grocery store more than a mile away. Mr. Griswald was taken back when Mother asked for so much sugar and canned pineapple. He scratched his head and said, “I don’t know, Lela, that’s a lot of sugar and pineapple for one family.” Mother showed him the ration stamps. He looked up with a sheepish grin on his face, “Somebody mighty special must be coming home soon.” Mother beamed from ear to ear and reached to wipe away fresh tears, “You know it, Sal.” Mr. Griswald helped her load the wagon and get my little brother back in. Then we made the trip home. I remember the day Daddy walked up to the front screen. A beautiful pineapple cake sat waiting for him on the table. He let us help just a little bit, even though he had a terrible sweet tooth. Mother made sure that pineapple cake was ready every day until time for his leave to end. When today’s cake had only three or four pieces left, another one went into the oven. Story told to me many times by my mother. Click on the recipe to enlarge. Frosting tomorrow.